Man, all that lead they add in those beach balls from China sure makes them tough, don't it? 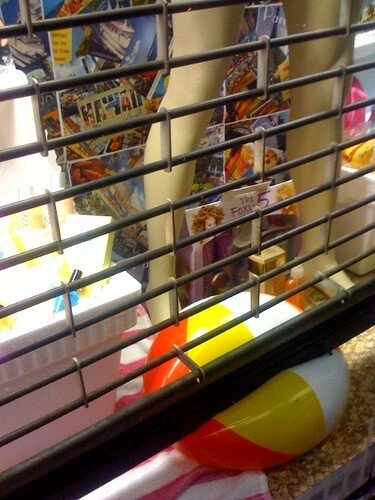 Oooh, that poor little squished beach ball. I know just how he feels. Is the subject line of this post a reference to your reading?